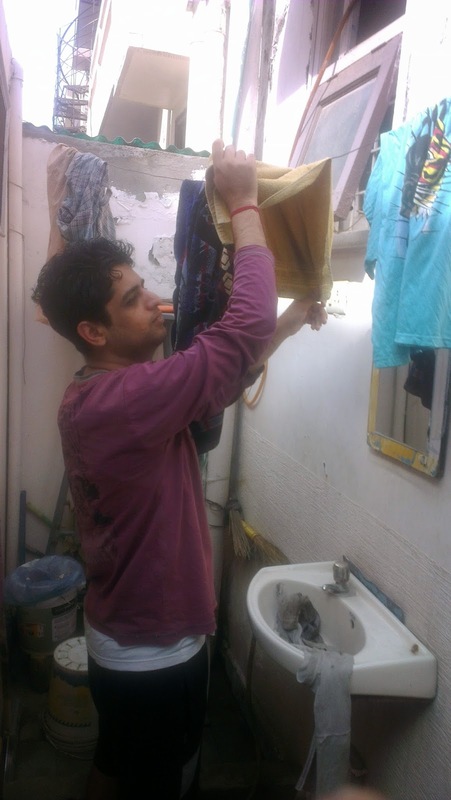 Few days back I received a mail from blogadda and decided to take up #Washbucketchallenge.I felt really excited about it as I have never done anything like this before and thought that it was a perfect opportunity for me to do this so that I can help my mother and also learn the art of washing clothes. It was all set and I was waiting for my arrival of Ariel detergent kit but then I got a mail from Australian embassy. It was regarding my visa approval and I had to pack my bags to watch the world cup final in Australia. It was a great trip and I enjoyed my short stay in Australia. Then on 31st March I came back to India and was little tired. My mom told me to empty my bags so that she can wash my clothes. I knew that my sample packet of detergent was there waiting for me to start up my wash bucket challenge. My mom was little surprised about my idea of washing my own clothes and thought that it was some Australian hangover. As I was still under Jet lag effect so my energy was little down and there was fatigue and stress but somehow I was motivated to take this challenge. I feel that washing your clothes cannot be anyone else responsibility and I have to be self dependent and help my mom so that she can relax and have less work to do. I thought washing clothes was a difficult task and would consume lot of time but Ariel Matic detergent made it very easy for me. I could wash so many clothes using just two spoons of powder. 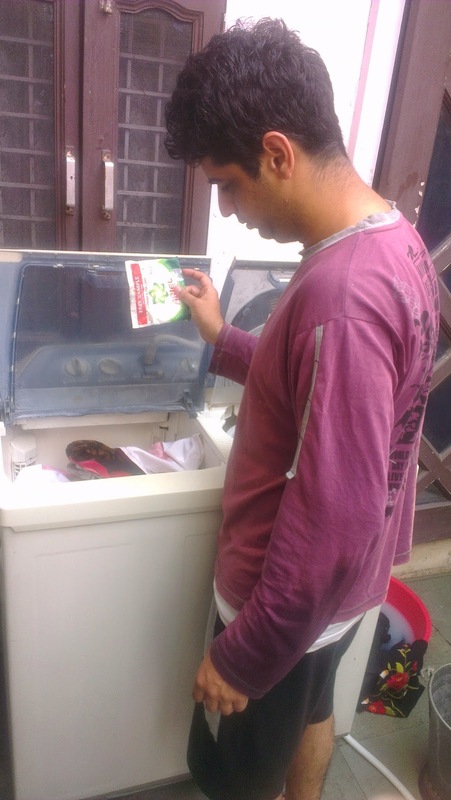 Overall It was good start of the day and I felt it is important for everyone in the family to #sharetheload.I feel really proud of myself by washing clothes and setting an example for other family members to realize their duties and responsibilities in doing household chores. 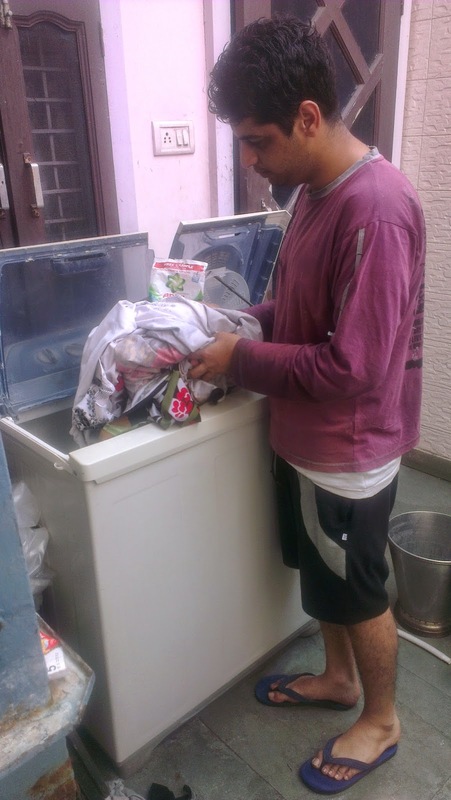 This post is part of the #WashBucketChallenge activity at BlogAdda.com in association with Ariel India.